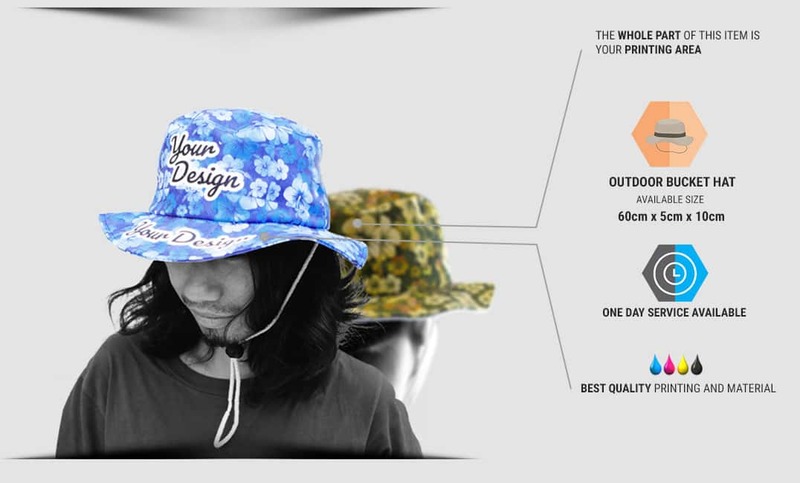 The difference between Bucket Hat and Outdoor Bucket Hat is on its rope. 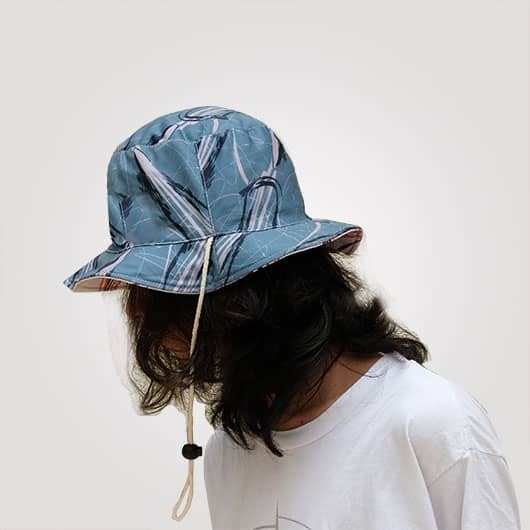 Outdoor bucket hat has rope while bucket hat does not. 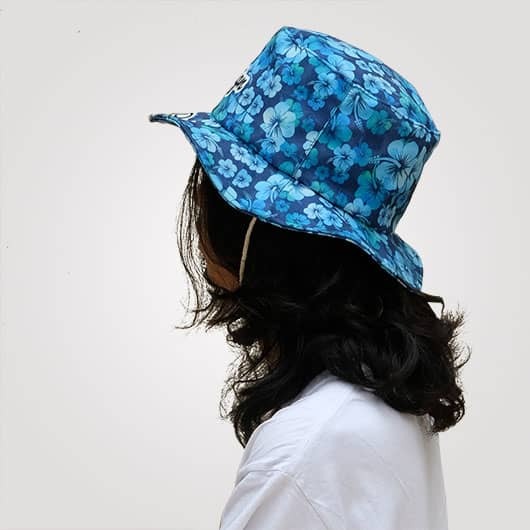 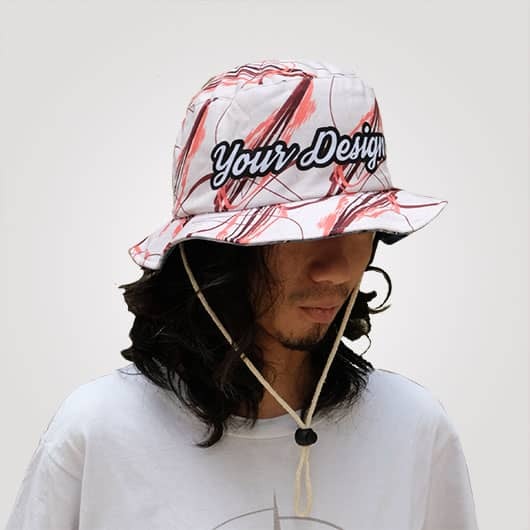 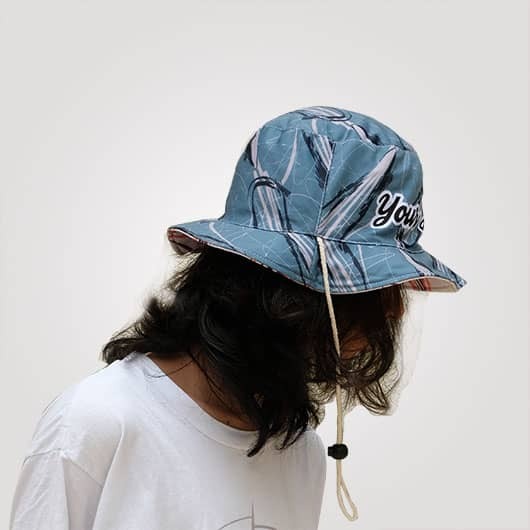 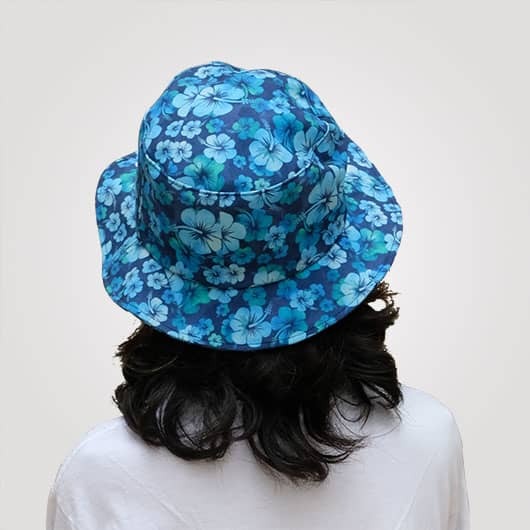 Bucket hat, which is identic with 60s fashion era, also called topi ember(Indonesian). 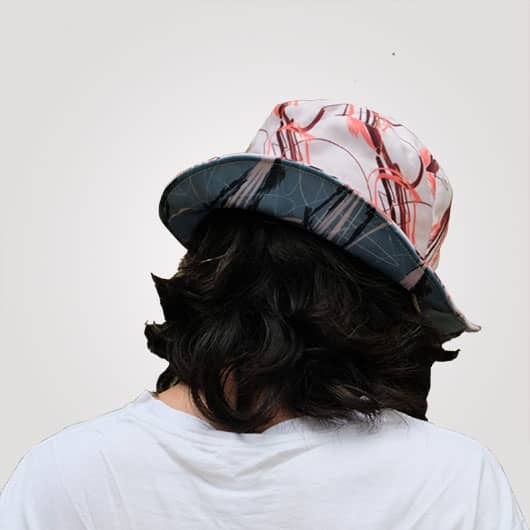 The surrounding visor all around the head gives a casual and relaxing vibe. 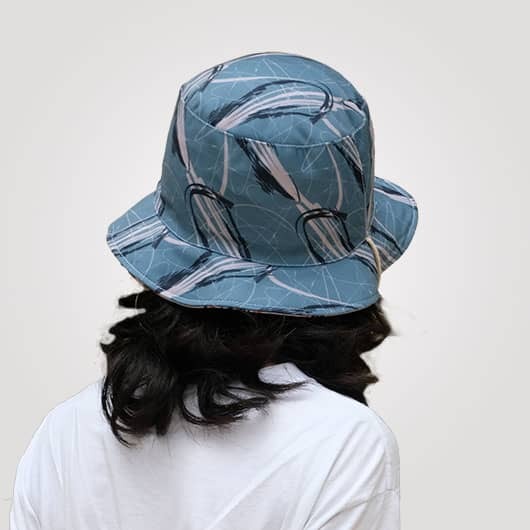 This hat used for picnic or fishing because to protect our heads and eyes from the shiny sunlight. 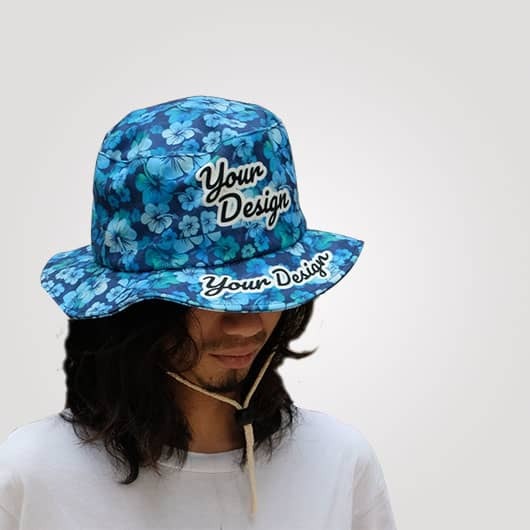 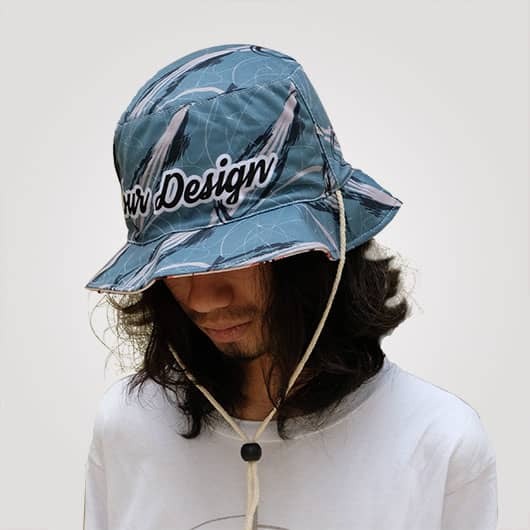 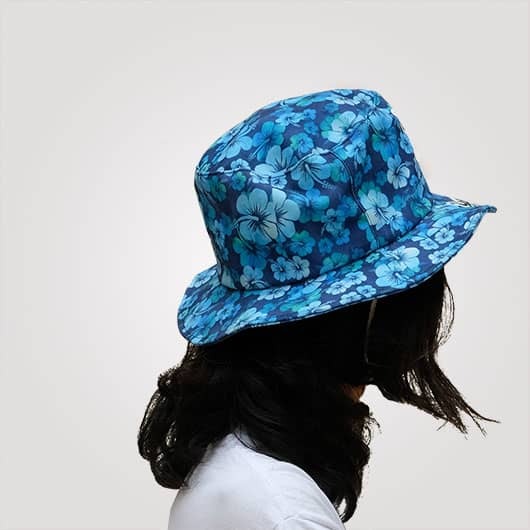 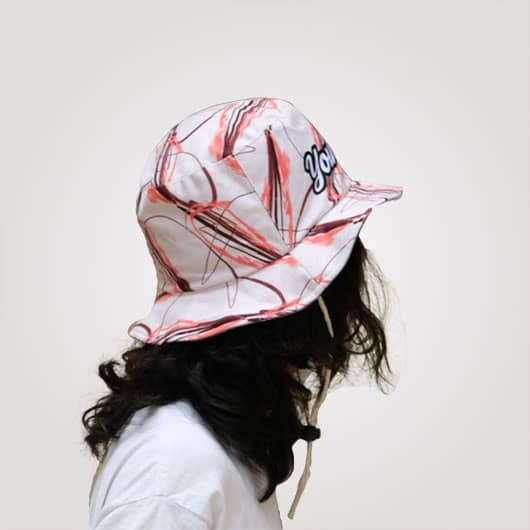 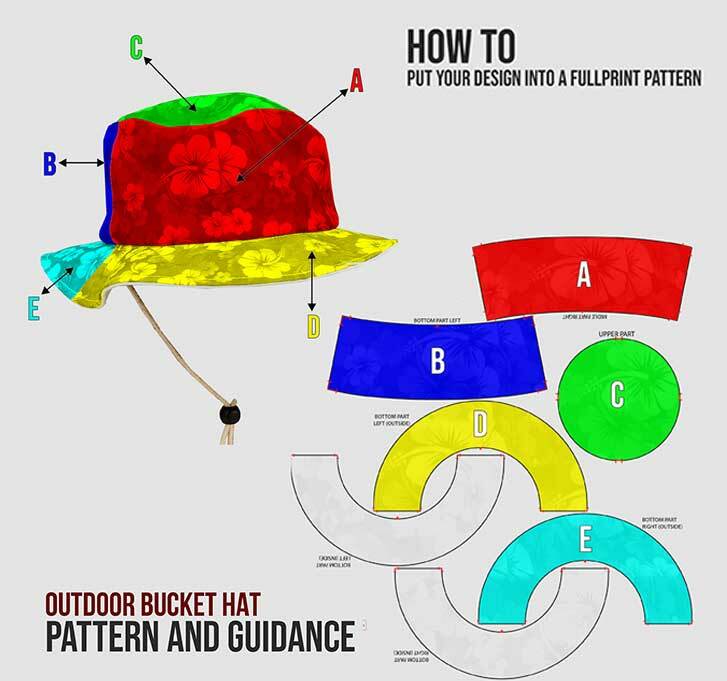 We provide 2 materials for bucket hat and bucket hat two sides: Hipolytex, more flexible, not too stiff, doff color printing, and not too heavy; Poly canvas, a stiffer material (looking good for style), doff color printing, and heavier than Hipolytex. 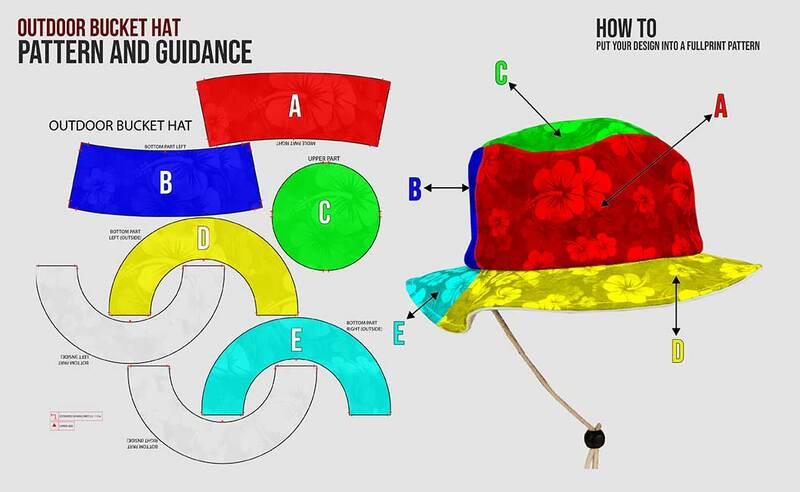 The hat has 60 cm girth, 10 cm crown height, and 5 cm visor width. 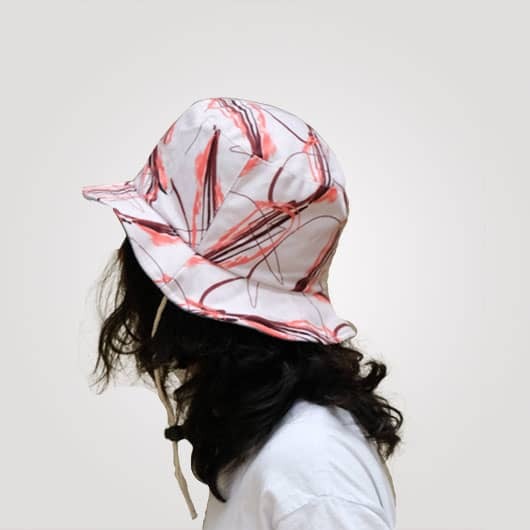 Even though it is a little bit loose, outdoor bucket hat has a rope to be tied in the chin area. 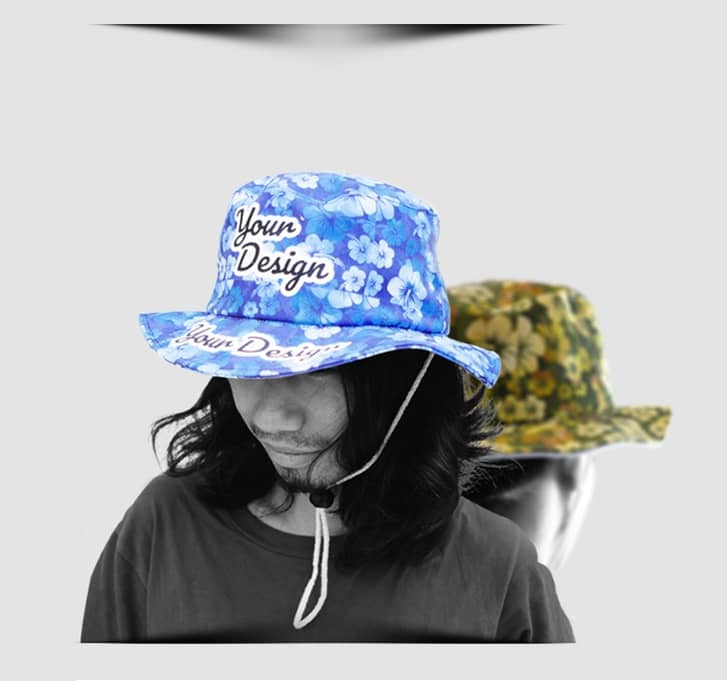 Outdoor bucket hat has 2 available in 2 version, one side design and two sides design. 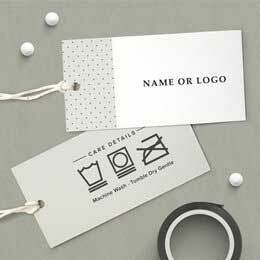 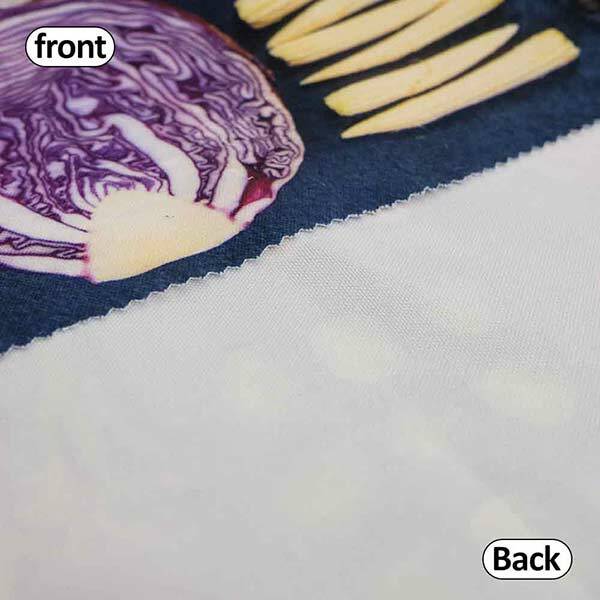 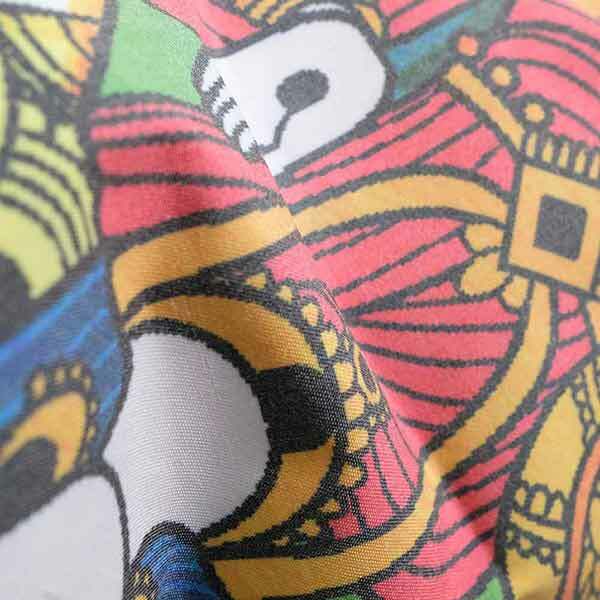 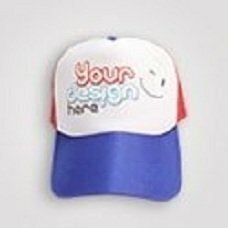 One side design has only outside part as printing area. 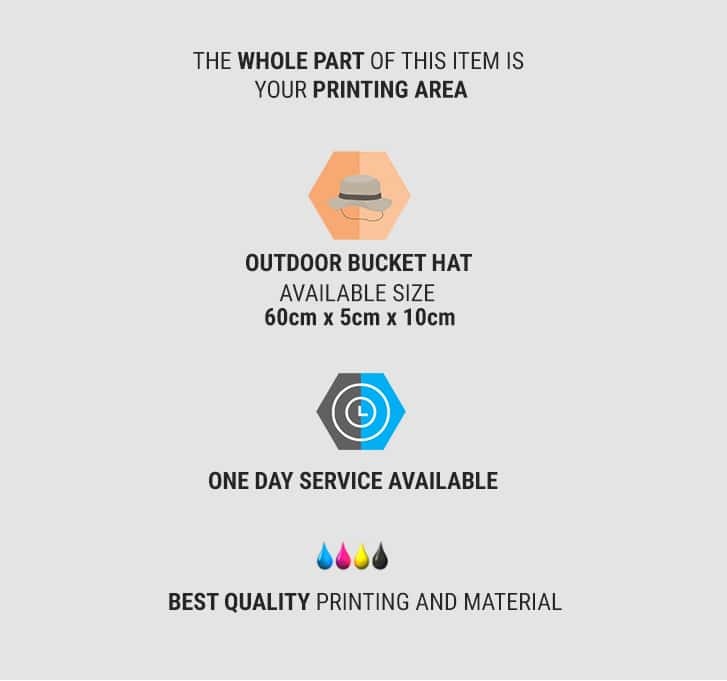 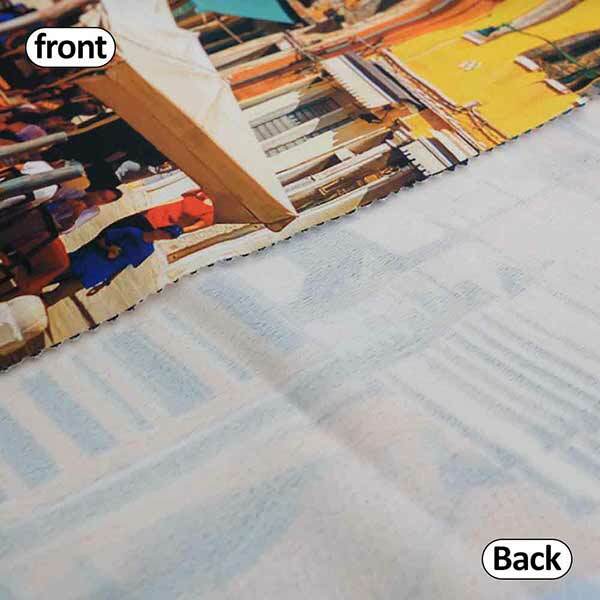 Outdoor bucket hat two sides has outside and inside part as printing area that can be reversed so you will get two different styles with one hat.